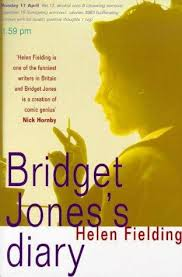 Bridget Jones is approaching 30 and still single, a fact those around her seem desperate to remedy, from her mother and her friends to Bridget's 'Smug Marrieds' friends. They attempt to set her up with men but Bridget isn't really interested. The only man she wants to date is her boss, Daniel Cleaver. Told through Bridget's witty diary entries over the course of a year, we join Bridget as she tries to snare Daniel, lose weight and change her career path. No, you haven't somehow slipped back through time. It's still 2013. But this is the first time I have read Bridget Jones's Diary. I've seen the film many, many times before but thought it was time I read the book. As I have seen the film and know it inside out, it was a little strange reading the book and knowing what was coming up, although the book and film aren't always identical. There was, however, the added bonus of feeling like I already knew Bridget extremely well, even from the beginning.